1. 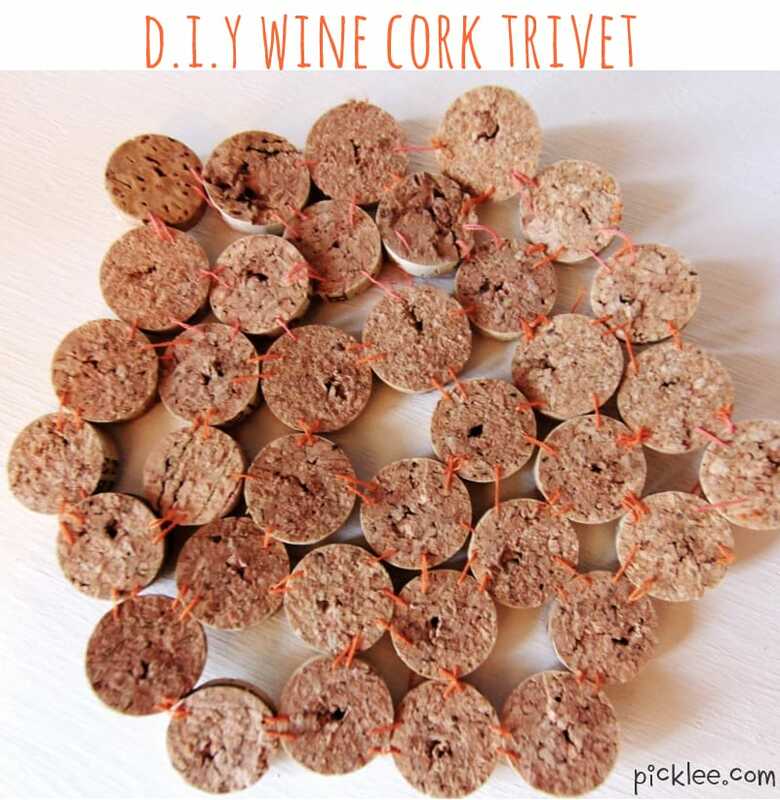 Cut each cork into slices approx. 1/4″ thick (should give you 6-8 slices per cork). This process can be tough since you need to use a sharp knife, but I found that a retractable utility knife worked best. Be EXTRA careful here, corks can be slippery! Also, be sure to cut on top of a scrap wood surface, this process will nick up whatever surface you are cutting on! 2. Use the needle and thread to attach each cork with two stitches. I used orange thread to give it a fun look. 3. Arrange your stitched cork pieces together into a your desired pattern. I sewed my cork slices into groups of four making a diamond shape, then stitched them all together with a few light stitches. Keep the stitches loose to make sure the trivet stays somewhat flexible. This project takes a little bit of time, but it’s a great reward when you’re done-and you can do the happy dance because you UP-CYCLED! I’ve found that slicing up wine corks is easier said than done! My cuts always come out looking very jagged. Yours look nice and clean! Any tips? The key is to use a very sharp knife, but you have to be EXTRA SUPER careful!! I personally liked using a retractable utility knife, I found it safer and easier to control.